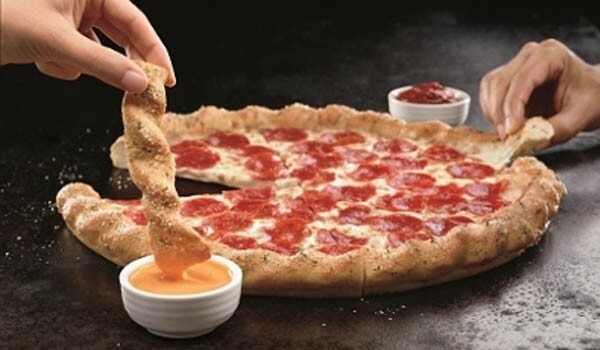 Pizza Hut now has a new pizza crust that is perfect for tearing off and dipping. 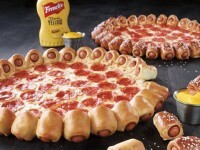 It is the Twisted Crust Pizza. 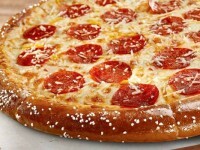 The pizza is made with a breadstick crust and includes a few dipping sauces. 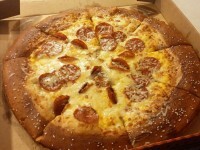 You can get a one-topping Twisted Crust Pizza for a limited time for $11.99 that comes with two sauces of your choice.